Well, hello Heroes! I haven't seen you since, since that DoomWood fiasco! I hope you've been well, I sure do! 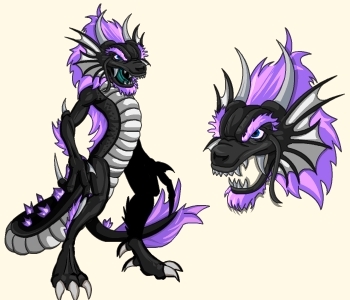 But I never did think to myself that this here Etherstorm Wastes had a... a beyond! No sirree, I didn't! But it DOES! An' it turns out that ol' Bert's been asked to raise a sign to point all you Heroes to it, yes he has! I mean me. I have. I'm ol' Bert. Bert Boomtower! *grumble* But wouldn't ya guess it that I can't as do m'job because o' that ol' wall o' FOG! Who knew fog was SOLID?! A body cain't work but their honest labor gets in'errupted. So, I'ma gon' wait here in this Air Realm with that fidgety, nervous-lookin' Air Dravix fellow, an' the wind all a-blowin' MIGHTY hard! Why don'cha go talk to him, eh? He looks like he could use a mite o' your Heroing, Hero. Seems somethin's on his mind. What would make a great, pow'ful Priest like it git worried? Could be the DragonSlayer you're travelin' with, mebbe? 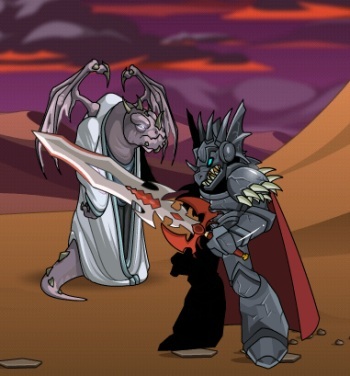 Dravix and DragonSlayer, an uneasy peace. Nah, ol' Galanoth, he's a straight upright ol' stick. Good wood, he is. Ever'one knows THAT. But you, you go an' talk to him, Hero. 's your job, an a body's gotta do what they gotta DO, y'know? For me, I'll just sit tight with this sign a-pointin' the way to the Ruins of Tiba- Tibat- eh, som'thin' or other. Some strange tongue, it do be! Thanks for the warning, Bert! The Heroes will get right on that... this Friday! Good luck with your sign-posting! IN Akiba, to be precise! MEMBERS should be on the lookout tomorrow night for the next member-only mid-week expansion! This time you'll be journeying to the mystical land of Akiba, home to royalty, shrines, and Yokai! In the Land of Yokai, shadows dance in the light of carved-stone lamps. Those ghastly ghosts of legend roam the lands, and you'll need to deal with them as you help a shadow-y figure deal with, what else? The shadows! Let your light shine as you helpl this poor stranger; if you don't, he'll remain forever a shadow of himself! Year of the Dragon - Chinese New Year! Celebrate! Celebrate! /Dance to the music of the drums and the flutes as the dragons dance through the streets, it's Chinese New Year! (Or will be on Monday!) 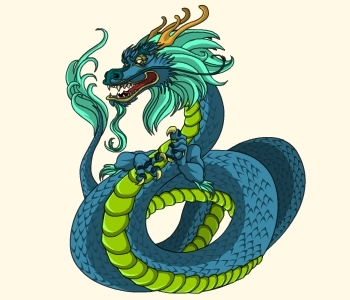 You'll need to quest through Akiba to help PanLong, the legendary lake dragon. He's risen from his watery home to welcome in the near year as the old one flows into the past. Year of the Dragon 2012! Friday the 13th, the bad luck continues! If you were around last week, you might have seen that most of us caught the Lab Plague at some point. GOOD NEWS: people are slowly but surely recovering! BAD NEWS: Some of us had our LUK stats nerfed last week. Faith, Wrayth, and I are all dealing with either bandages, braces, or both this week after mishaps while in action put us all in traction!